I had a brief check on what is moving in the world of multi-fuel stoves for this coming winter. 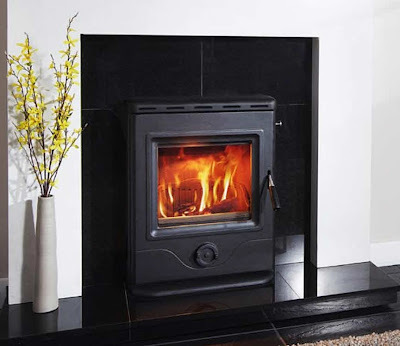 One new comer is the County Kerry made Firebird brand range of high output inset stoves. While not in the running to win a stove beauty competition, at least on the outside, Firebird have managed to squeeze up to 81% efficiency and a very impressive output from stoves designed to fit into most fireplace openings. The Firebird stoves come in two sizes: 16” and 18” with nominal outputs of 12Kw and 16Kw. 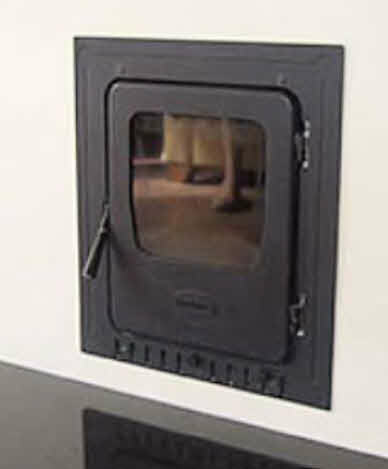 The 18” stove has a rated output to water and radiators of up to 12.1 Kw with up to 3.6 Kw of the heat output going directly by convection into the room. These are very impressive figures indeed for such modest size stoves. I had a very brief look at construction. The boiler is standard steel construction. What impressed me was the door construction and the baffling. The quality of build looks very high with the use of stainless steel in the door. These impressive performance figures however do not come without a price tag they are priced at approximately €1,350 and €1,650 respectively. If your budget can stretch, these Firebird inset stoves are worth looking at. Not cheap, and they will require some fittings and a fair bit of work to install properly. The Blacksmith Anvil 6Kw free standing stove is still on the go, and a favourite. It has stood the test of time. I have owned a Blacksmith Anvil for 3 years and it is as good as the day I bought it. It can pump out the heat effortlessly. Three years ago I paid €400 for it, today it is just a little more expensive at €455. In the meantime it has had an improved firebox liner fitted which justifies some of the price increase, and since I bought it there has also been a bump up in the VAT further adding to the price. 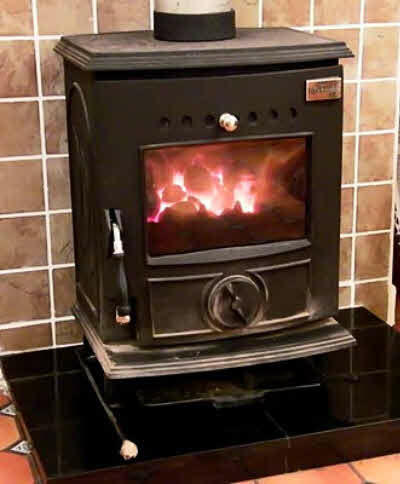 The Olymberyl Gabriel sold by the same company as Horse Flame offers a quite similar stove to the Blacksmith Anvil at the slight cheaper price of €399. Horse Flame have turned out some nice quality cast stoves. An inset stove by the same makers rated at 5Kw and nicely cast is the Olymberyl Gabriel Inset costing quite a reasonable €595. I was looking at these stoves at McElligotts Castleisland Co. Kerry, and the prices I have indicated are as marked in the store on the day I visited - these may have changed in the meantime. 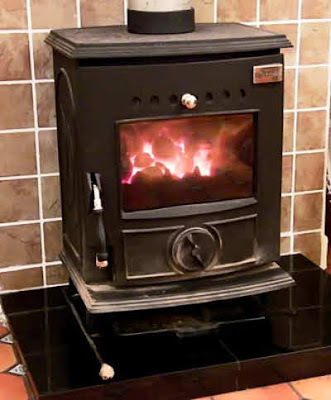 The trend in Ireland is that more and more people are turning to solid fuel stoves as a primary heat source.